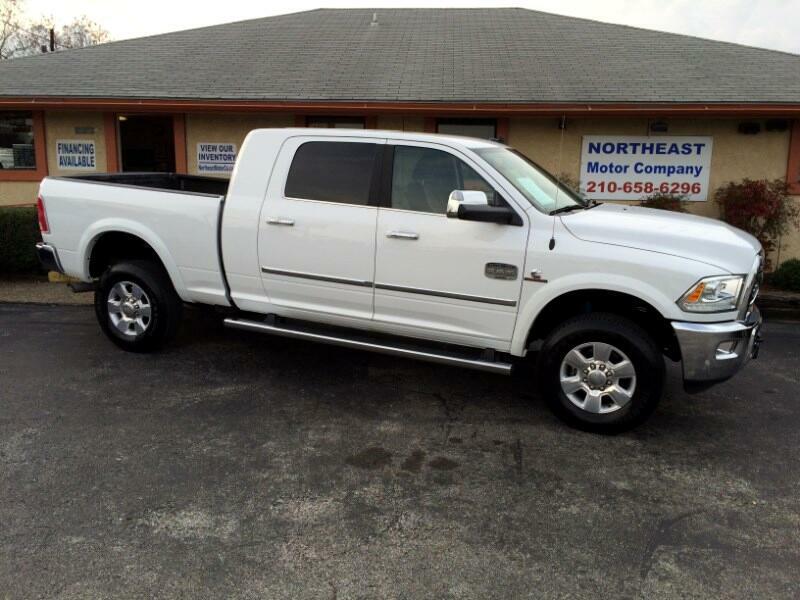 2018 Ram 2500 Laramie Longhorn Mega Cab 4x4 LOADED!!! Well equipped with a 6.7L Turbo Diesel Engine, Four Wheel Drive, Laramie Longhorn Package, Navigation, Backup Camera, Cargo Camera, Leather Interior, Alpine Premium Audio, Bluetooth, Front and Rear Sonar Parking Assist, Heated and Ventilated Seats, Dual Zone Climate Control, Power Adjustable Seats, Steering Wheel Mounted Audio Controls, Trailer Tow Package, with Integrated Trailer Brake, Heated Steering Wheel, Power Sliding Rear Glass, Homelink, Keyless Entry, Push Button Starting, Remote Start, Spray In Bedliner, Chrome Step Bars, Auxiliary Audio Input with USB Interface, Aluminum Alloy Wheels, and MORE!!! Still Under FULL FACTORY WARRANTY! Call or come out today to inquire about our easy financing options and many available extended warranties. WE FINANCE!! ZERO DOWN W.A.C. Be sure to check out our reviews! We are PROUD to be a USAA Certified, RBFCU Certified, True Car Certified, and Car Gurus TOP RATED dealership. FREE LOCAL DELIVERY available as well as nationwide options to meet your scheduling needs.